Hot peppers grow easily in many warm environments. In zones 9 to 11, hot peppers will behave as a perennial. Plant hardiness zones further north have a greater fluctuation of seasonal temperatures and hot peppers are best treated as annuals in these regions. They will grow 1 to 2.5 feet in height and spread 1 to 2 feet wide. Although hot peppers are a fruiting plant, they are frequently considered as a vegetable due to their culinary flavor. Hot pepper flowers are not showy during bloom, but have small white flowers. They have bright colored, edible fruit. Although preferring moist soil, hot peppers are tolerant of drought and as such are good for xeriscaping (1). 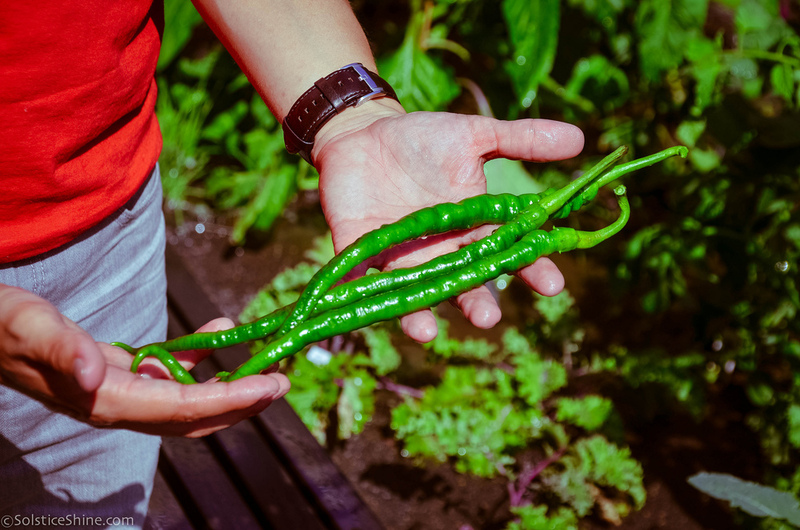 Full sun and warm conditions over a five-month growing period are necessary for high yields and good quality fruit - peppers will not grow well in the shade. Hot peppers are ready for harvesting 10 to 15 weeks after planting and are mainly self-pollinating (3). Buckwheat is recommended as a companion plant because it offers an effective pest control environment for peppers. Buckwheat attracts certain insects that feed upon the European Corn Borer, a major pepper pest. Basil is also a good companion plant because it is known to repel fruit flies and some varieties of garden beetles. Onions and carrots can be considered because they add to the overall flavor of the peppers. Finally, consider companion plants that have a restricted vertical growth and don't compete with peppers for soil moisture (5).